An annual fundraiser, now in its third year, will help send more Dallas ISD students on field trips. On Thursday, Nov. 16, Elrod’s Cost Plus Supermarket presented a check to the district for $14,573 for the Dallas ISD Field Trip Fund. The presentation took place at a special reception at Rosemont Primary School-Chris V. Semos Campus. Rosemont second-graders had recently enjoyed a trip to the Dallas Arboretum as a result of the grant program. 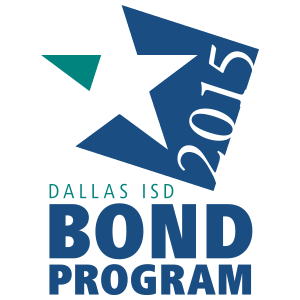 This year’s funding will support more than 2,800 students, 51 teachers and 23 Dallas ISD schools. Rosemont Principal Rachel Moon praised Elrod’s for its commitment to support students, and thanked them on behalf of all the schools benefiting from the funding. Two Rosemont teachers spoke about the importance of the field trips, and a few of their students talked about what they had learned. Julia Johnson, director of marketing at Elrod’s / G.E. Foodland, initially approached the Dallas ISD Partnership Services team to create the Field Trip Fund so schools could send more students on local educational field trips. The Field Trip Fund finances transportation to and from the destinations, Customers at Elrod’s stores were able to contribute to the Field Trip Fund when they purchased their groceries in August. Applications for the 2018-2019 school year will be announced in May.